Whether you use direct mail, email or both, testing and refinement can help to improve the effectiveness of your marketing. By varying or testing elements of a direct mail campaign — such as the mailing list, design, copy, call to action or response mechanism — over multiple mailings, you can continually hone your marketing and improve your response rates. • Baselining. Establishing baseline response rates allows you to set expectations for improvement. • A/B Testing. This refers to the process of changing one element at a time to gauge the results. This is usually done with a small subset of your mailing list so that you can apply the benefits learned during A/B testing to the rest of your list, leading to a more cost-effective campaign. • Multi-Variate Testing. This testing method is often used for multiple, large mailings and refers to the process of changing multiple elements of a campaign at the same time. 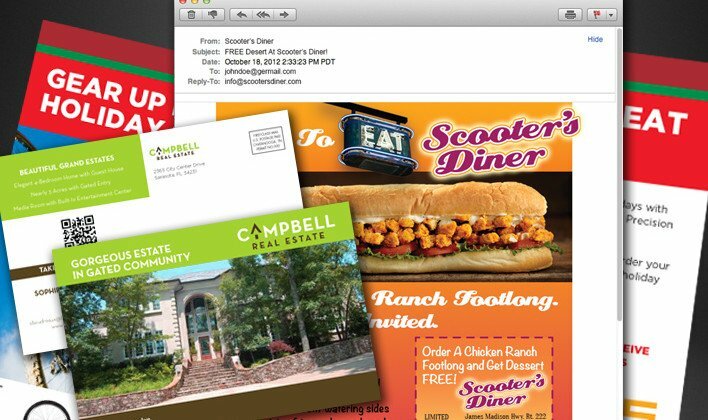 At Dynamark, we can help you improve your marketing through direct mail testing and refinement. Call us when you’re ready for your next big campaign.